Who is Newcastle United midfielder Sean Longstaff linked with Pompey? Pompey have been linked to Newcastle United's Sean Longstaff, reports suggest. 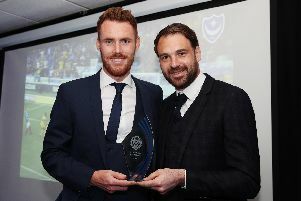 According to the Newcastle Chronicle, Kenny Jackett is keen to bring the midfielder to Fratton Park on a sixth-month loan deal. 1. Sean Longstaff was born on October 30, 1997. 2. The Geordie is the nephew of former Celtic, Newcastle and Aston Villa midfielder Alan Thompson while his younger brother, Matthew, is also at St James' Park. 2. Longstaff is a product of the Magpies' youth set-up, having graduated through their academy. 3. He penned his first professional deal at St James' Park in July 2015. 4. Although the midfielder is yet to make his first-team debut at St James' Park, he's highly rated at the club. 5. During the 2016-17 season, Longstaff netted six goals and recorded three assists for Newcastle's under-23 side. 6. That earned him his first taste of senior football. He was sent on loan to Kilmarnock in January 2017. 7. Longstaff took the move in his stride and made a decent impact in the Scottish Premiership. He made 17 appearances and registered three times as Killie finished ninth in the table. 8. After penning a new deal at the Magpies last summer, Longstaff was then loaned to Blackpool in League One for the campaign. 9. He proved a big hit for Gary Bowyer's outfit, scoring nine goals in 45 appearances. However, he didn't feature against Pompey in both games. 10. At the start of his loan spell at Bloomfield Road, Longstaff scored in four successive matches, which reportedly caught the attention of AFC Bournemouth. 11. The Newcastle Chronicle have reported Longstaff is wanted by a number of Championship club this summer. But, according to the paper, Pompey are leading the race for his signature.